This is a part of Anna & Robert's thank you card. The pink part is the front and when you open the card the photo is on the right hand side. I picked a color from the bouquet that Johan Pettersson made for the wedding, a favorite color of mine. 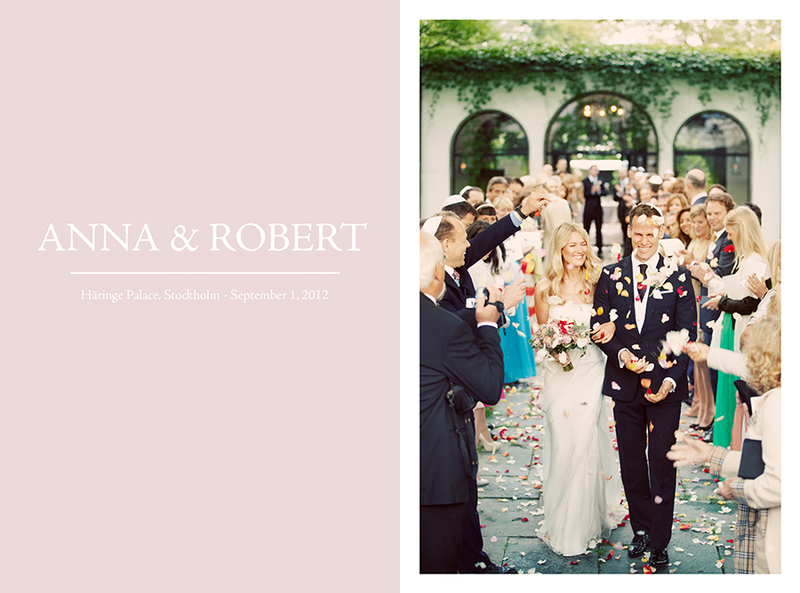 More photos from Anna & Robert's day at Häringe slott are coming up on the blog.